Kevin Durant's "Aunt Pearl" Zoom KD IV served as the signature rep for Nike Basketball's Kay Yow Collection last season, but a friends and family version of the LeBron 9 was also produced. Kevin Durant's "Aunt Pearl" Zoom KD IV served as the signature rep for Nike Basketball's Kay Yow Collection last season, but a friends and family version of the LeBron 9 was also produced. Courtesy of LBJ himself, here's a fresh look at the pink-based mid, which is accented by hits of white and 3M reflective metallic silver. 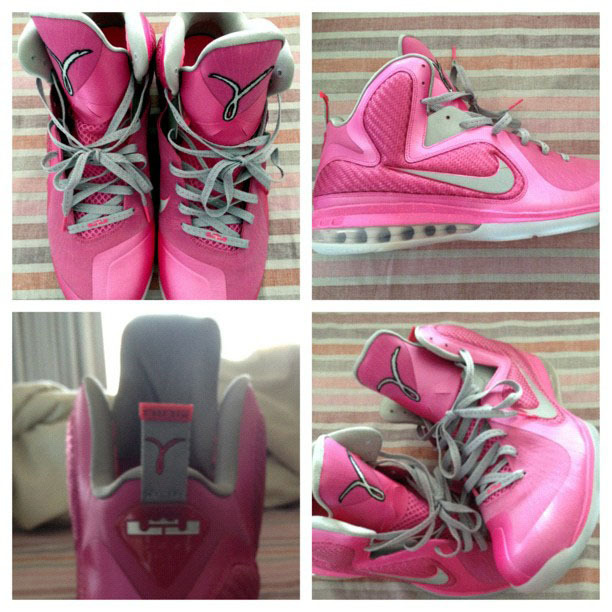 The Y-shaped Kay Yow ribbon adorns the tongue and the heel of the shoe as a nod to Breast Cancer Awareness. Would you have liked to see the "Kay Yow" LeBron 9 release?